We are really excited to offer Veterinary Rehabilitation Services with Dr Yoko Clinch who is a Certified Canine Rehabilitation Therapist through the Canine Rehabilitation Institute. As such, she is able to diagnose disorders of mobility and function based on veterinary anatomical and neurologic knowledge, soft tissue palpation as well as advance imaging (as indicated). Rehabilitation Therapists treat these disorders using human physiotherapy treatment principles, tested and adapted to suit canine and feline patients. We therefore use various modalities like laser and TENS/EMS, as well as soft tissue therapies (myofascial trigger point release, massage, and joint mobilisations) and therapeutic exercises based on tissue healing rates. The approach to each patient is unique to their needs and collaborative with you, the owner, and your vet. Our Veterinary Rehabilitation Services team is dedicated to improving your pet's mobility and quality of life by providing evidence based treatments. We are the first Veterinary Hospital in Western Australia to have internationally recognised qualifications for both a veterinarian who is a Certified Canine Rehabilitation Therapist and a vet nurse who is a Certified Canine Rehabilitation Veterinary Nurse. In addition, our registered vet nurses are Low Stress Handling(TM) Certified. 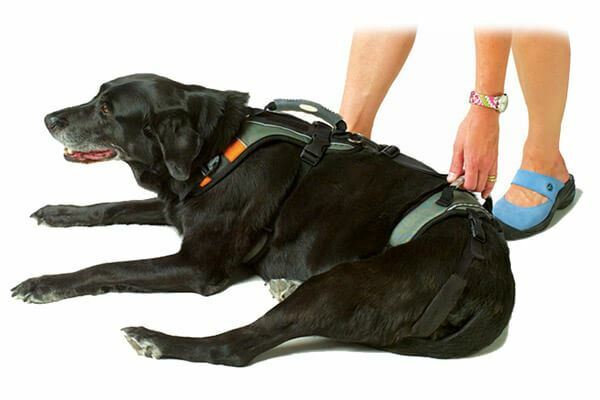 Our Certified Canine Rehabilitation team can also fit and recommend appropriate assistive devices including harnesses, carts, orthotics and prosthetics. We fit, sell and hire Walkin’ Wheels Wheelchairs, and also stock a range of Help Em Up Harnesses which are not only extremely durable and very comfortable for your pet to wear and be lifted in, but also can really help reduce the strain on your back too! Please contact one of our team members on 08 9390 4026 to book your pet in for an assessment.